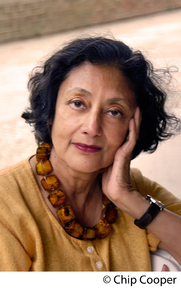 This month I talked to award-winning author Bharati Mukherjee about her latest novel, Miss New India. Find how about her research visits to call centers in Bangalore, whose plays she memorized as a child, and what she’s reading now. Read the full interview. I also talked to Kate Parkin of Hodder & Stoughton about the new flipback book format being released in the UK later this week. I started a Talk thread to discuss flipbacks as well, so feel free to join the conversation! Read previous State of the Thing newsletters.